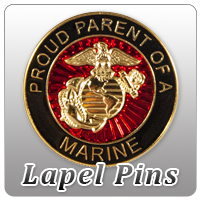 This Proud Dad design proudly displays the likeness of the USMC Dress Blues in the letters of "DAD" with a gold EGA. Our exclusive designs on unisex polo-style shirts. Available in a variety of colors.